We took some time out from the road trip to visit the Mariposa Grove of Giant Sequoia this morning. Aside from some issues with woefully inadequate parking and a 'Road Closed' sign that apparently didn't actually mean 'Road Closed', we had a great time and even with the hour or so lost trying to drive to the grove and then driving back to the hotel to catch the shuttle, then finding a carpark full of cars at the grove itself, we still made it out of Yosemite with enough time to get to Bakersfield, our next overnight stop, at a decent hour. 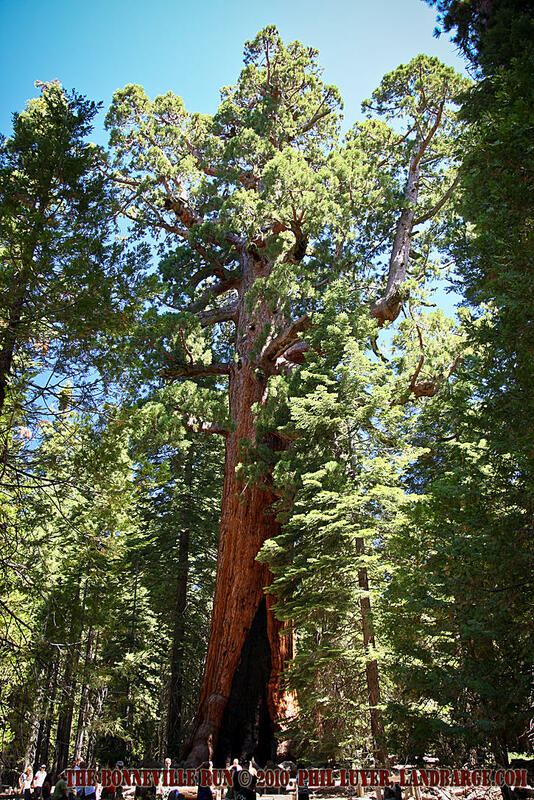 The Grove of Giant Sequoia is actually split up into an Upper Grove and a Lower Grove, and refers to part of the park where around 450 Giant Sequoia can be found. 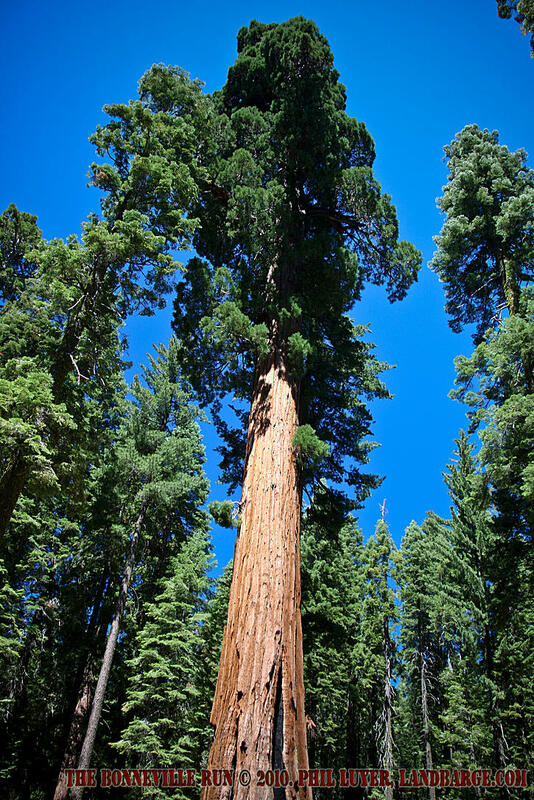 While the trees are not actually the oldest living things on the planet, or the tallest or even the largest, they're in the top 2 or 3 on each of those categories and are definitely some of the most impressive natural wonders of California. To go to Yosemite National Park (or to live in California) and not to spend a couple of hours wandering around this grove would be a real tragedy. The tree's have a relatively shallow root system, and for their protection, most of the trees are fenced off to keep people from disturbing the soil around the base, however, I was saddened to see some people (and no, not Americans for a change) jumping the fence to pose standing at the base of some of the trees. After we left Yosemite, we headed for Bakersfield, stopping at Fresno for dinner at In'n'Out Burger and also to investigate a random noise that had started coming from the Cadillac as we hit the off ramp. After tracing this to the front right hand wheel, we were just about to pull the wheel off and investigate further when we found the wheel bearing cap had come loose behind the hub cap. We fixed that up, checked for the noise and when it was gone, hit the road again for Bakersfield. Interestingly, when we hit Bakersfield the noise returned, so perhaps the bearing cap may need to be replaced at some point.